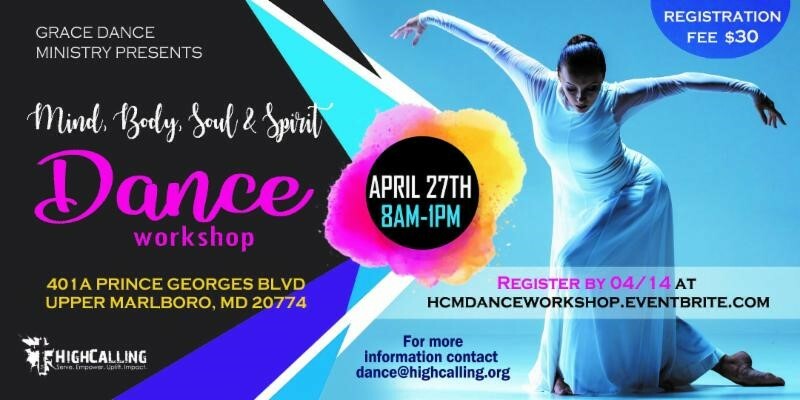 High Calling Ministries (HCM) Dance Ministry “GRACE” will be hosting it’s first Dance Workshop. The theme will be “Mind, Body, Soul & Spirit”. There will be interactive sessions designed to teach the art of dance to include but not limited to, dancing with flags, expressions of worship through movement and facial expressions amongst other pertinent things that will help elevate individuals dance skills. To pay to reserve your spot for the Dance Workshop please click the button marked “EVENTBRITE“. Determined to remain relevant and real at all costs, while seeking sound Biblical solutions to the problems that attach themselves to GOD’s people, is what describes the ministry and heart of Pastor George W. Hawkins, Jr. Pastor Hawkins was born on September 10, 1964, to the late Bishop George and First Lady Gertrude Hawkins, Sr. He was raised and served on several ministries at the Church of God in Lothian under the pastorate of his maternal grandfather Elder Raymond C. Wills. He received his Bachelor of Arts Degree in Religion from Liberty University. He also is a graduate of Scarsdale Biblical Seminary with a Masters in Biblical Studies. Pastor George is an example of the next-generation leader. As Senior Pastor of High Calling Ministries (HCM) in Fort Washington, Maryland, he has developed an atmosphere that goes beyond "church as usual". Pastor Hawkins brings a refreshing blend of practicality and passion to ministry that is truly inspiring. Dynamic in delivery, electric in illustration and awesome in application, Pastor Hawkins is compelled and commissioned by GOD to present the message of hope with clarity, power, truth and authority. This ministry gift puts before you a Gospel that lives with you, enabling you to better understand GOD’s plan and desire for your life. Pastor Hawkins resides in Fort Washington, MD. He is married to the lovely First Lady Elder Sharlene Hawkins and has one child, George III. Together, they are committed to serving the Body of Christ as they go to the Next Level in Him!